With Azure DevOps Projects we want to make it is easy for you to set up a fully functional DevOps pipeline tailored to the development language and application platform you want to leverage. 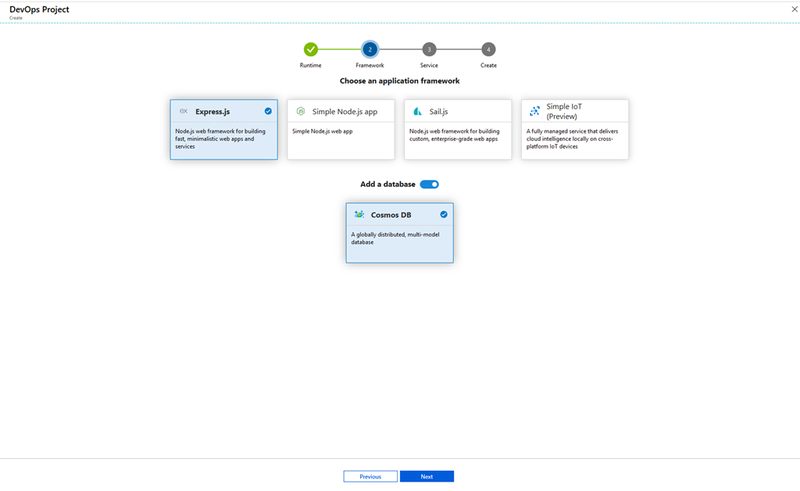 We have been making continuous enhancements to Azure DevOps Projects and in the latest deployment now available to all customers, we have added support for Azure Cosmos DB and Azure Functions as target destinations for your application. 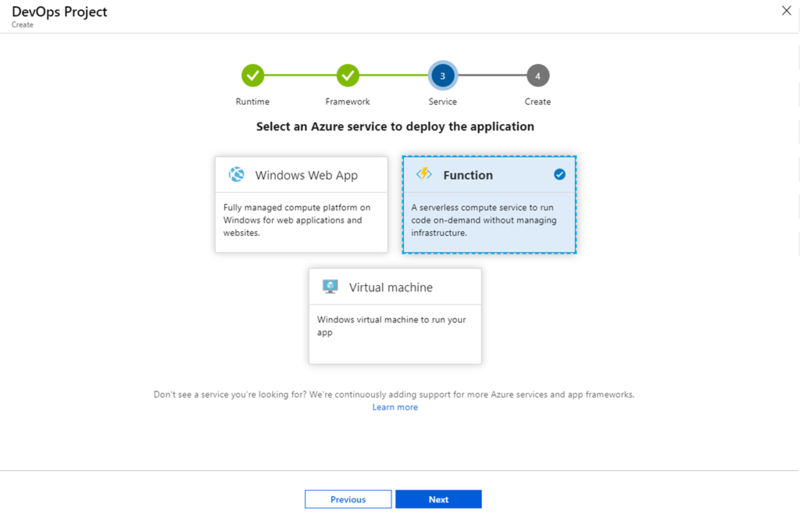 This builds on the existing Azure App Service, Azure SQL Database, and Azure Kubernetes Service (AKS) support. After using Azure DevOps Projects to scaffold your application from the Azure portal you can then access the code and the CI/CD pipeline using Azure Repos and Azure Pipelines respectively. With support for Azure Functions in Azure DevOps Projects, you will be able to create a skeleton .Net or a sample Node.js serverless application in just a few clicks. Like Azure Cosmos DB, with this workflow you will have everything you need to develop, deploy, and monitor your application including the Git Code repo, CI/CD pipeline, Application Insights, and necessary Azure resources.